No other region in the world comes close to Asia-Pacific in terms of sheer number of gigawatts of potential exploitable wind capacity. China boasts the lion’s share of this, with India accounting for a sizeable chunk too. But, drill down further and many other markets have the potential to perform strongly. 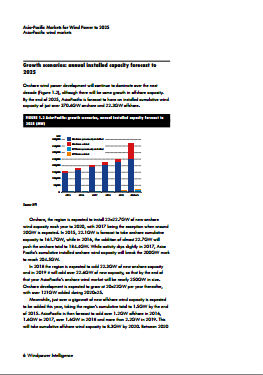 This new report from Windpower Intelligence offers a detailed breakdown of the markets in Asia-Pacific and forecast future growth based on a thorough analysis of the key trends and drivers shaping the region to 2025. 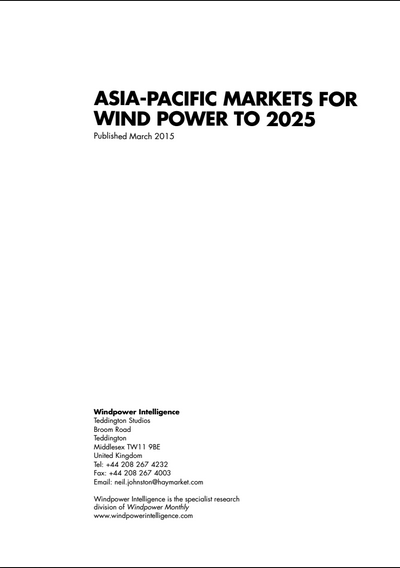 This report presents an overview of Asia-Pacific wind markets, policy, drivers and challenges, and a forward look at the markets for the period 2015–25. 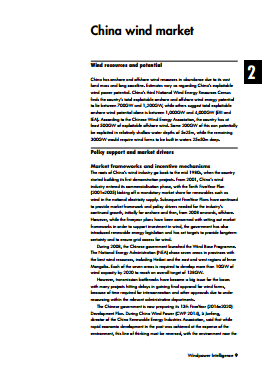 This report is based on the Windpower Intelligence (WPI) database, as well as independent research conducted specifically for this report. For the purposes of this report, we only took account of projects that are currently ‘in progress’, meaning that they are not yet in operation, nor have they been put on hold or cancelled. 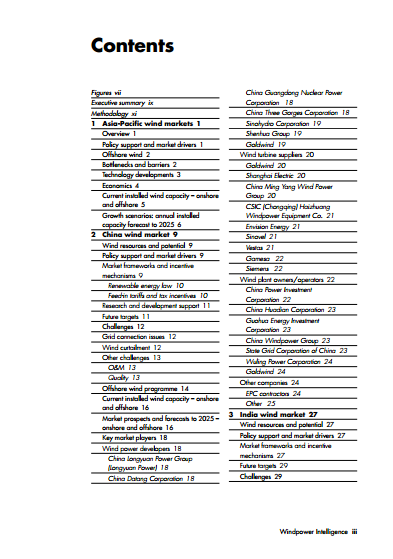 The WPI tracker was used to produce a bottom-up forecast of future AsiaPacific market trends. For the data analysis, we used a snapshot of the database taken on 19 January 2015. Information we may have learned after that date is not reflected in this report. 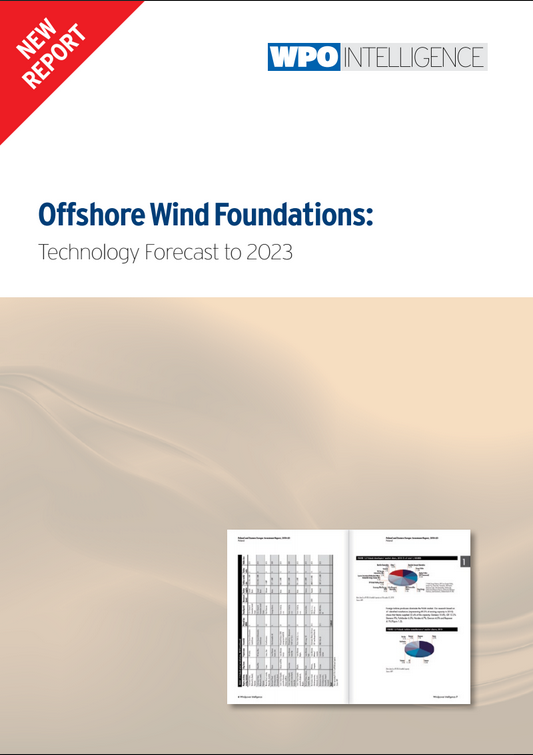 Our short- and medium-term forecasts of future installed wind capacity are drawn from the January 2015 issue of the WPI Global Forecast. This is a monthly forecast report that provides up-to-date country forecasts based on ongoing research alongside collection and verification of pipeline data. Our long-term forecast of future installed wind capacity is produced based on analysis of future pipelines in our WPI database, linear regression analysis on historical installed capacity and research on individual country’s policies and targets.